Salamander. Sophisticated politico/thriller. 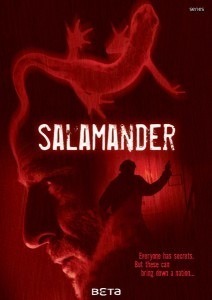 BBC 4’s recent,12 part, saturday nite thriller following on the Nordicnoir films has been Salamander.A flemish language Belgian police drama. Sleek Filip Peeters leads a good cast. This is a European story, set in Brussels, drawing in strands of a Political thriller with a police investigation. Smooth action, no bad language, a sophisticated, intriguing story, enjoyable sat nite viewing.Arrow films, as part of their quality International quality crime series, are launching the 12 part Salamander series on DVD from March 17th. Arrow Films also distribute the Bafta Award winning Nordic noir series Borgen,The Killing, The Bridge .